Will your property taxes go up or down this year? Who will get hit the hardest? Who might get off easy? Here’s our current outlook for Cook County property taxes in 2019, based on budget conditions and 20 years of experience in the property tax arena. 2019 assessment notices were mailed by the Cook County Assessor’s office on Tuesday, February 26th to Berwyn Township property owners. The one month window to appeal your 2019 assessed value is now open until the deadline of Wednesday, March 27th. The Cook County Assessor’s office mailed 2019 assessment notices to Rogers Park property owners on Friday, February 15th. The 30 day window to appeal your assessed value at the Assessor’s office is now open until the deadline of March 18th. The window to appeal your property taxes with the Cook County Assessor is now open for homeowners in Riverside and River Forest. Riverside homeowners have until March 7 to appeal while River Forest homeowners have until March 8. 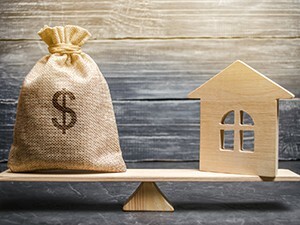 If it feels like property taxes have been squeezing more and more out of your home value, it may not be your imagination. 2019 assessment notices for River Forest were mailed by the Cook County Assessor’s office to homeowners on February 6th. Property owners have a 30 day window to appeal their assessed value at the Assessor’s office until the deadline of March 8th. The Cook County Assessor’s office mailed 2019 Riverside Township assessment notices on February 5th. The 30 day window to appeal your property’s assessed value at the Assessor’s office is now open through the deadline of March 7th.